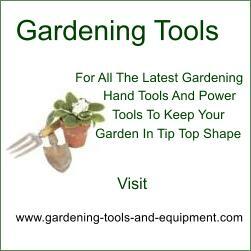 If you find our gardening tools website to be helpful and could be of benefit to your visitors, we would like to invite you to link to us. For your convenience, we have a list of banners and text links for a number of our most popular pages. However if you wish to link to a different page you can do that as well. Simply copy the code in the text box below the graphic or text link you would like to use, then paste it into your website. All text and graphic links will open our website in a new window, so visitors won't leave your website if they click on a link. You can select a category below to jump directly to those links, or simply scroll down to view all available links.